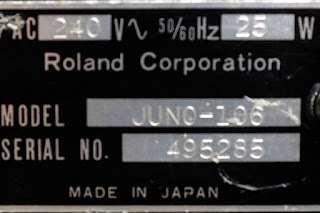 This has been in my collection since I bought it in 1985 - released in 1984, it's one of Roland's best analogue/digitally controlled synths. 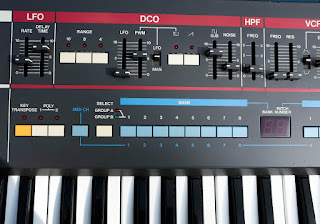 It's got an absolutely stunning range of sound variations - which never, ever fail to produce the goods. 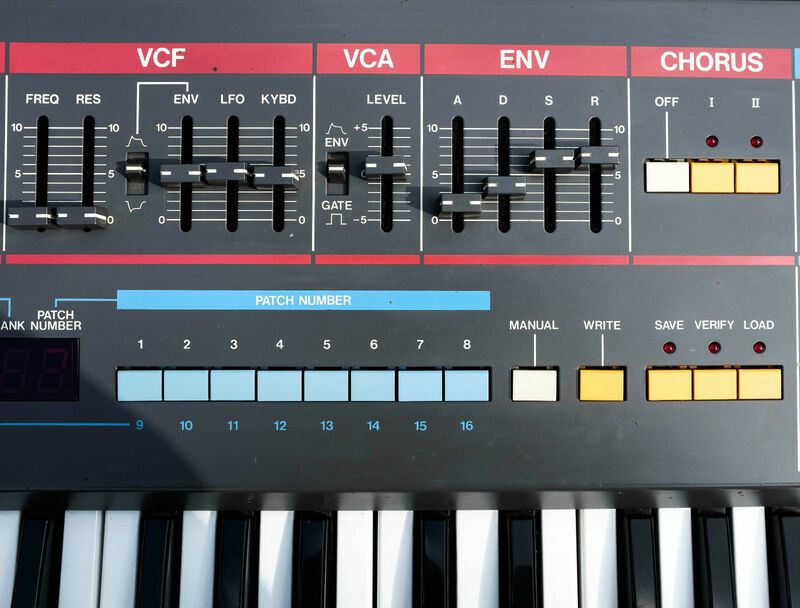 From the most funky bass lines and wah-type chords, through dream-like and epic pads, brilliant attacking or mellow strings, weird, very weird sound FX and that's just the start. 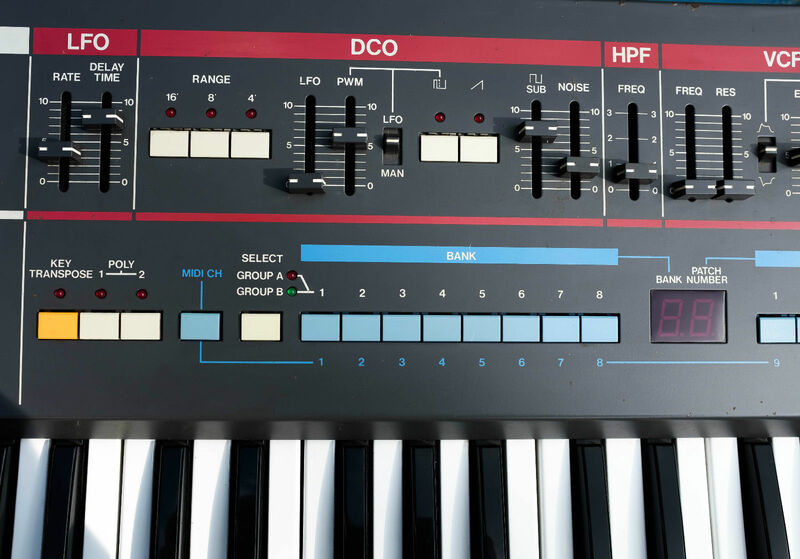 This is a versatile, pro keyboard that sounds better as time goes on. 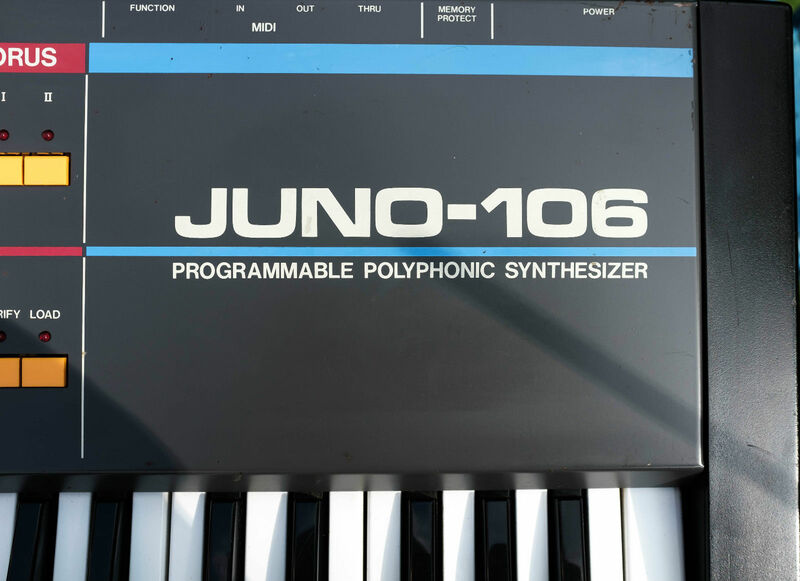 'The Juno-106 is one of the most loved and used synthesizers by professionals and hobbyists alike! William Ørbit, Überzone, Norman Cook (Fatboy Slim), Autechre, BT, Vince Clarke, Moby, 808 State, Underworld, Leftfield, Fluke, Josh Wink, Todd Terry, Depeche Mode, Eat Static, Biosphere, The Prodigy, The Shamen, Bushflange, Cirrus, Astral Projection, Apollo 440, Faithless, Union Jack, Computer Controlled, Pet Shop Boys, Sneaker Pimps, Erasure, Freddy Fresh, Rabbit in the Moon, Kevin Saunderson, Jimmy Edgar, Laurent Garnier, Vangelis, Sigur Ros, and the Chemical Brothers have used this synth'. Only ever used in studios, it's in very good condition - both cosmetically, operationally and internally. 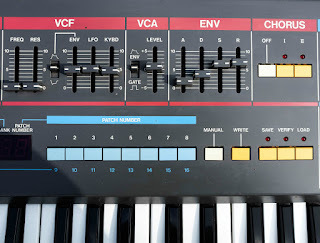 All the original chips are in place so it all sounds exactly as it should, unlike some other current examples on sale. It has just been fully serviced with two control sliders and the pitch bend wheel being replaced with Roland parts. 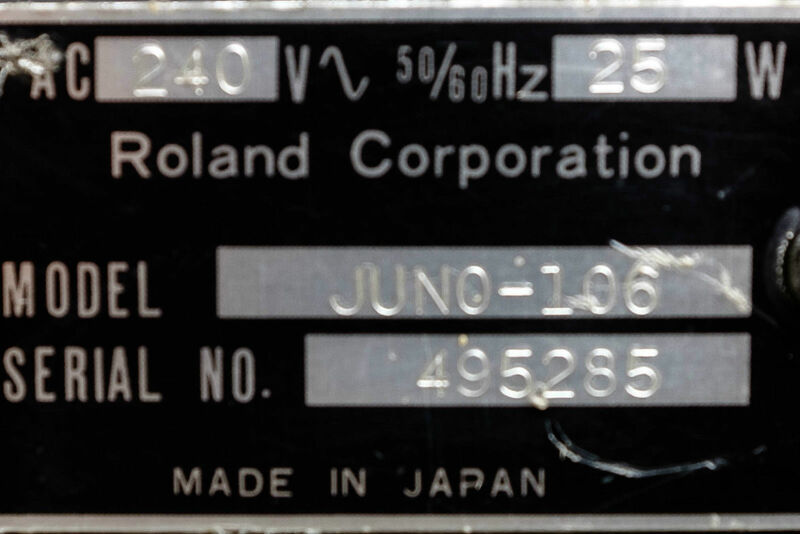 This has got to be one of the best Juno-106's available, as it's got both the circuit originality as well as the enviable cosmetic condition. 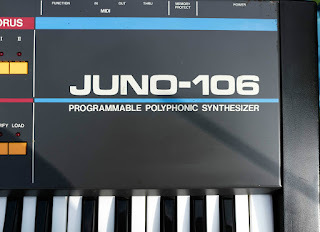 As it's not at a fixed price - with no reserve - it's the best Juno -106 on offer now.